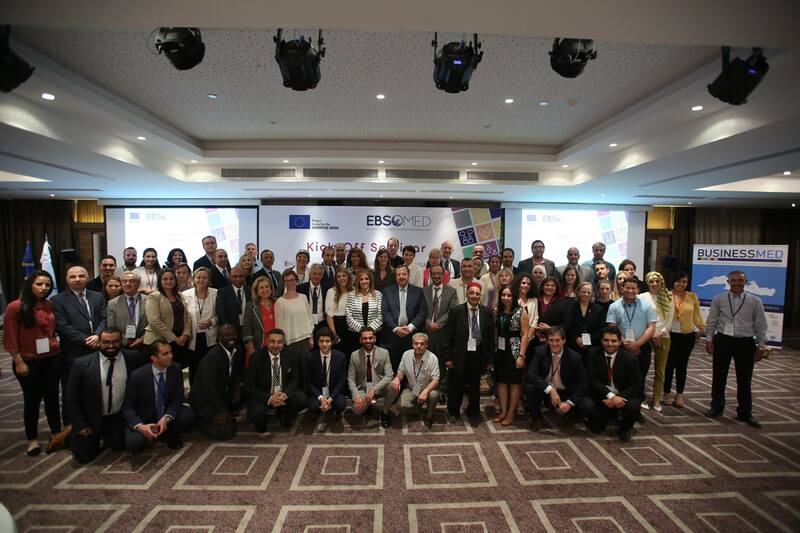 EBSO Med is a 4-year project, co-financed by the European Commission that aims at boosting the Mediterranean business ecosystem promoting inclusive economic growth and job creation, by enhancing the private sector environment and namely the Business Support Organisations in the Southern Neighbourhood countries. Countries covered: Algeria, Egypt, Israel, Jordan, Lebanon, Libya, Morocco, Palestine, Syria and Tunisia. Increase Economic Regional Integration and boost the MED business community by creating a sustainable hub for developing business partnerships and coordinating strategies in key sectors of common interest in the Euromed region. BSOs Thematic Committees (Vocational Training; Women and Youth Empowerment; education and R&D), gathering the private sector best assets for development. Intra-Mediterranean cross-sectorial strategies and action plans. EU Med Roadshows in the Southern Mediterranean Countries with a focus on Women Entrepreneurship. Implementing partners: MEDALLIANCE CONSORTIUM: BUSINESSMED – Union of Mediterranean Confederations of Enterprises (Tunisia); CAWTAR, the Center of Arab Woman for Training and Research; ASCAME, the Association of the Mediterranean Chambers of Commerce and Industry ; EUROCHAMBERS, the Association of European Chambers of Commerce and Industry; ANIMA Investment Network; GACIC, the German Arab Chamber of Commerce.